Today I discovered the work of a local watercolor artist and illustrator named, Rachel Eskandari, of Pink Puddle Studio. I found her on Instagram first and then quickly checked out her website and Etsy store. 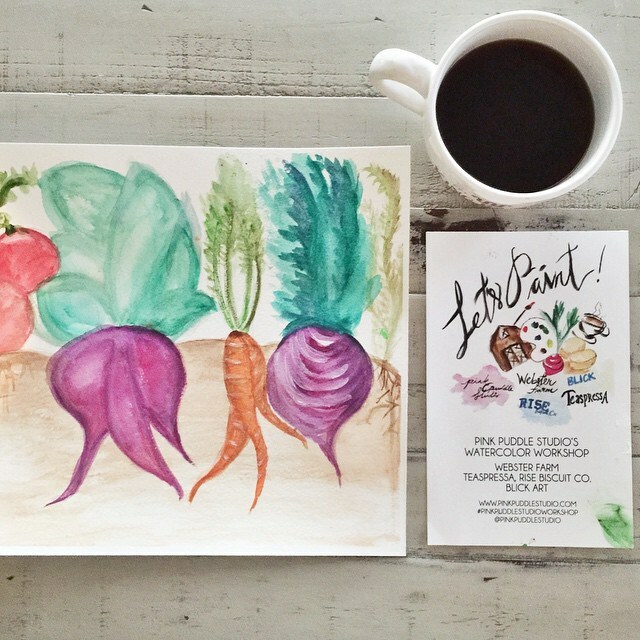 What I am most interested in is that she is beginning to offer watercolor workshops. Exciting! I can’t wait to sign up for one. Take a few minutes and peruse her beautiful paintings. I know they’ll make you smile.